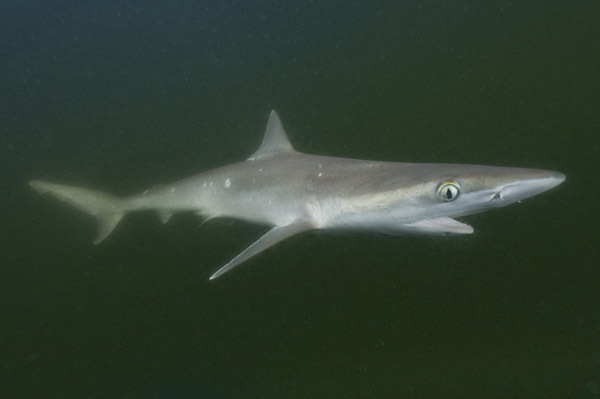 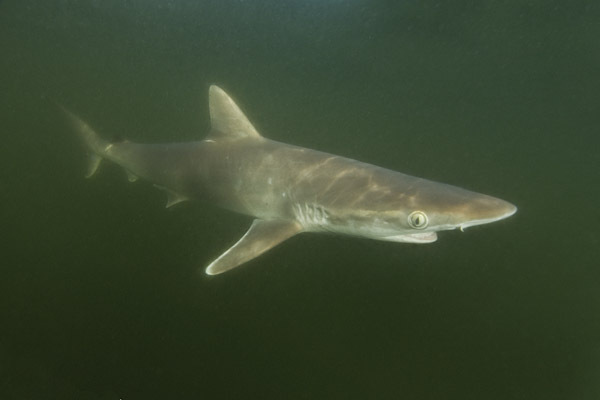 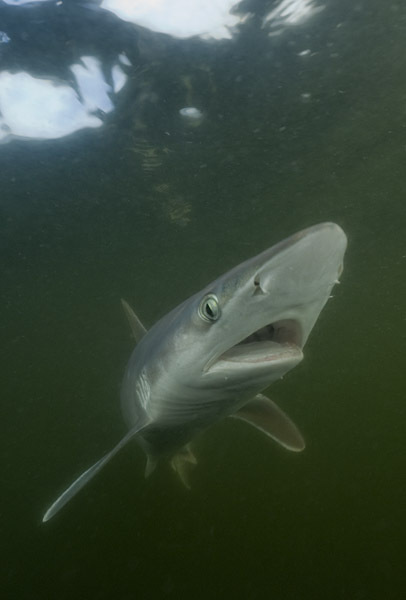 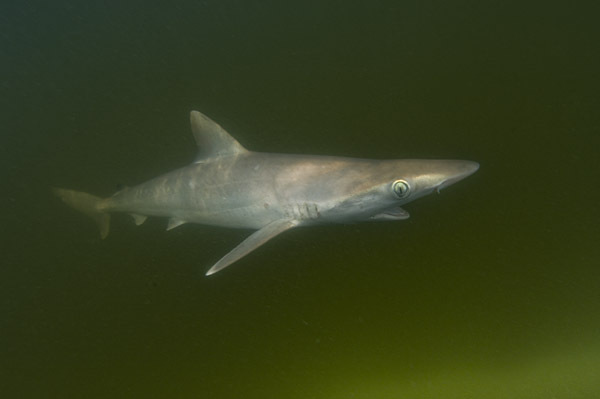 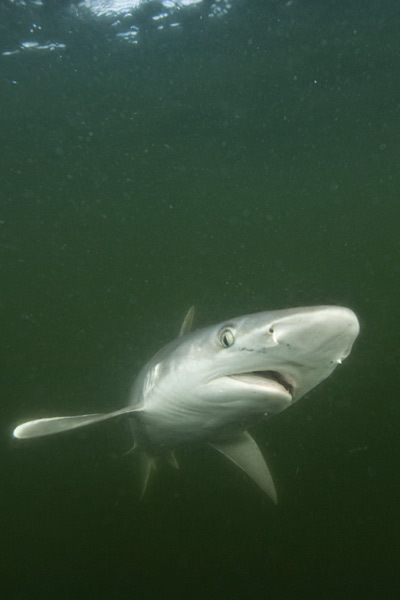 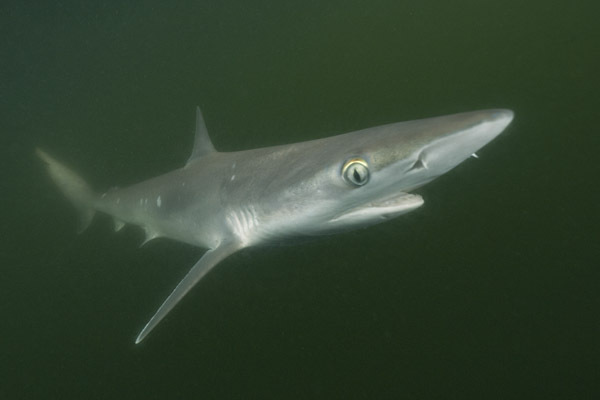 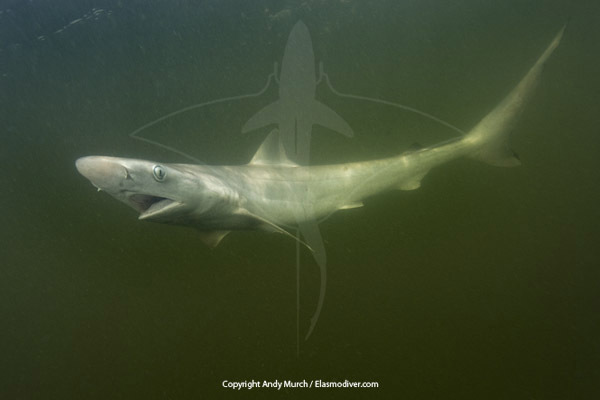 Atlantic Sharpnose Shark Pictures © Andy Murch. 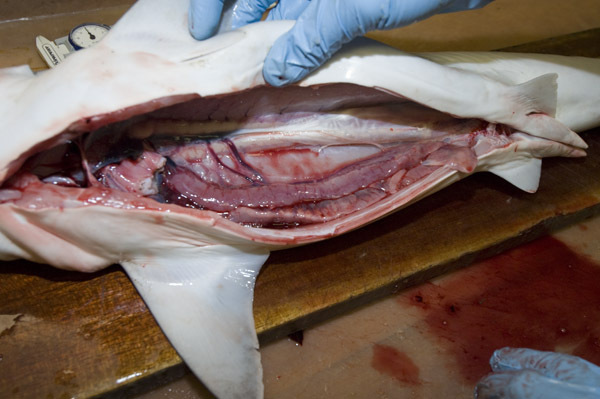 All rights reserved worldwide. 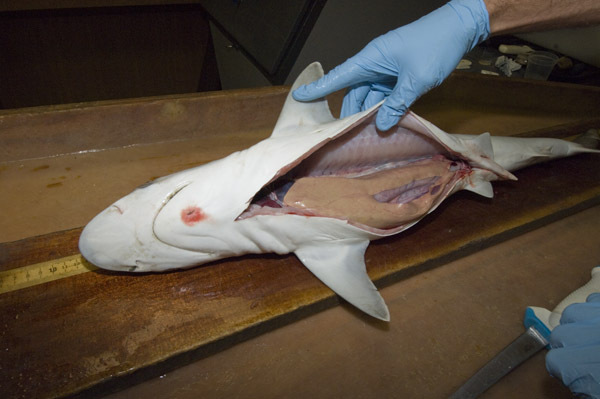 Please email Elasmodiver for further information. 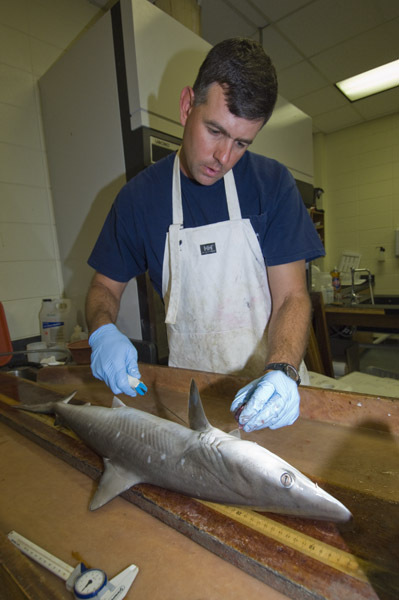 Atlantic sharpnose shark images from the Mississippi Sound. 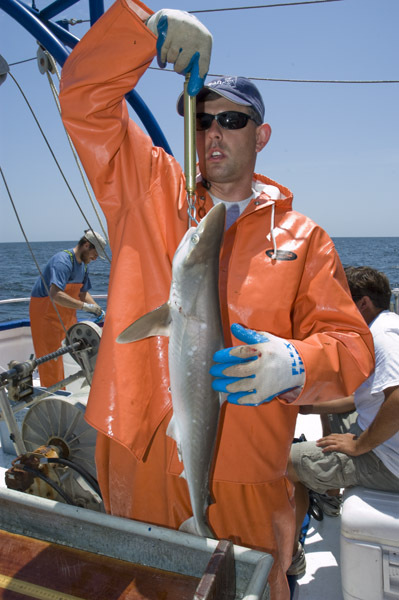 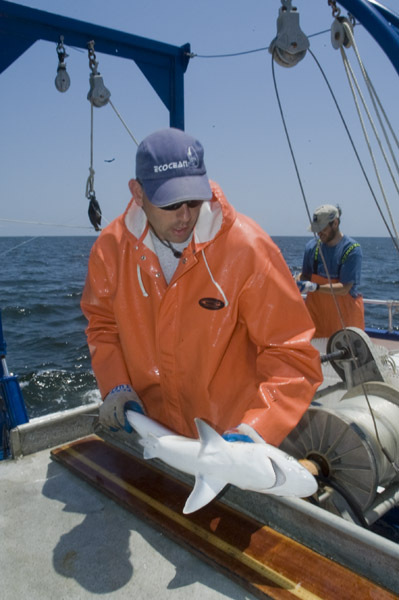 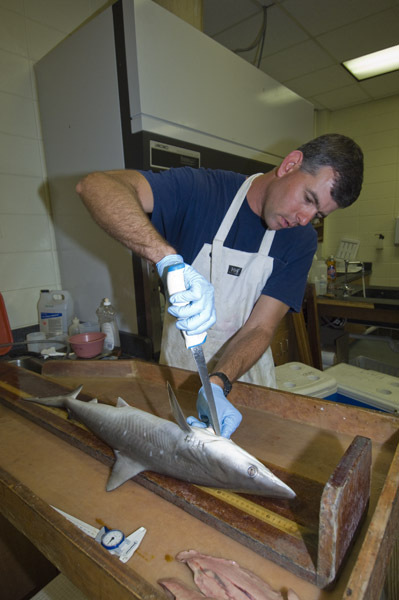 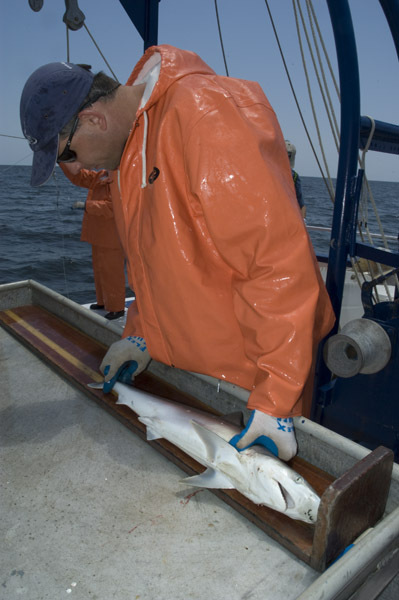 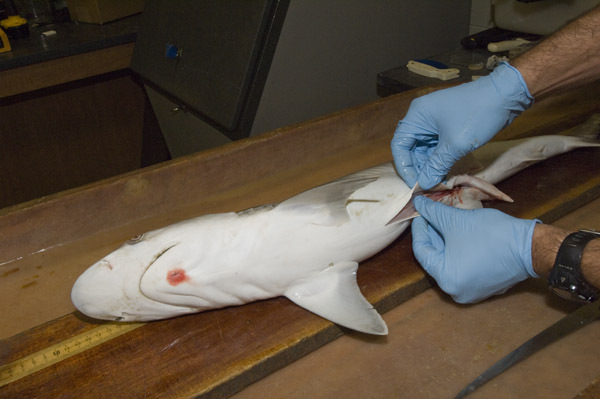 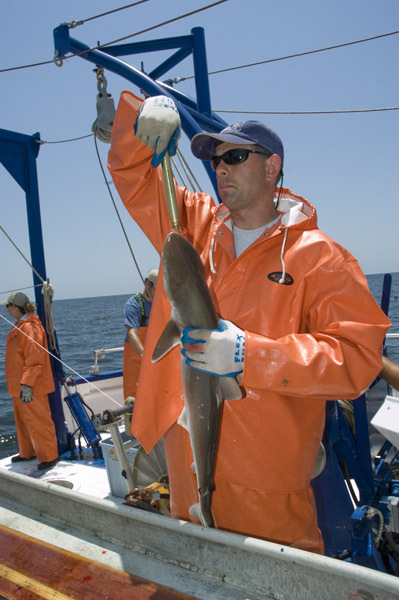 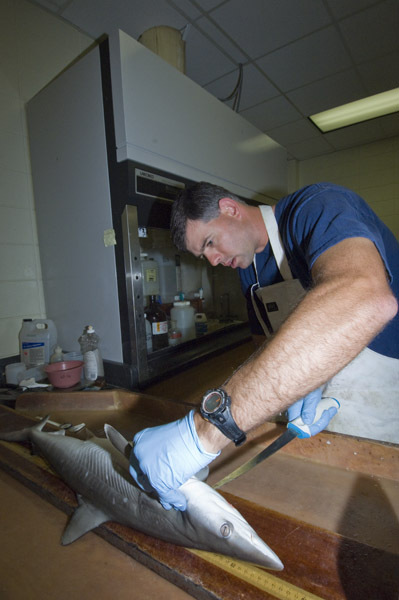 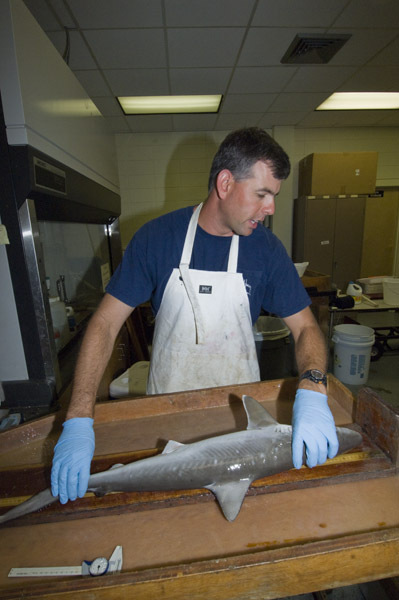 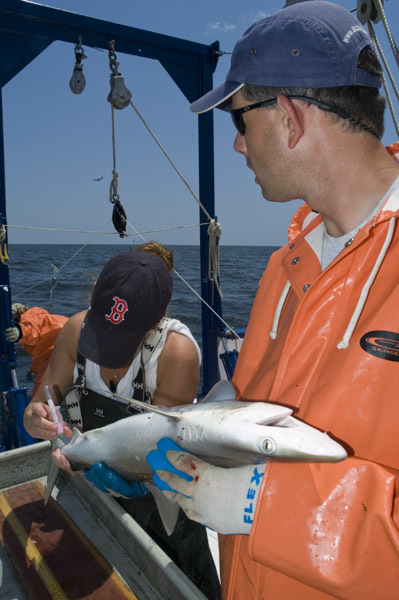 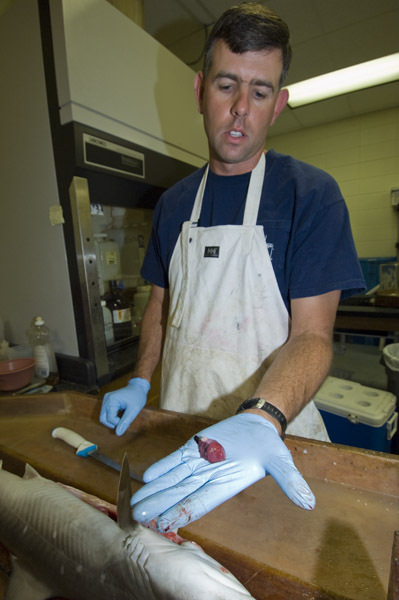 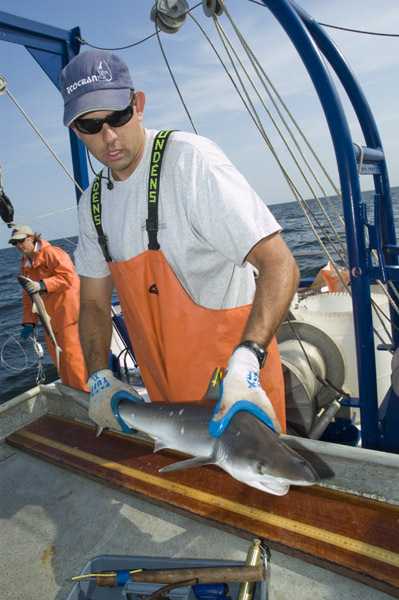 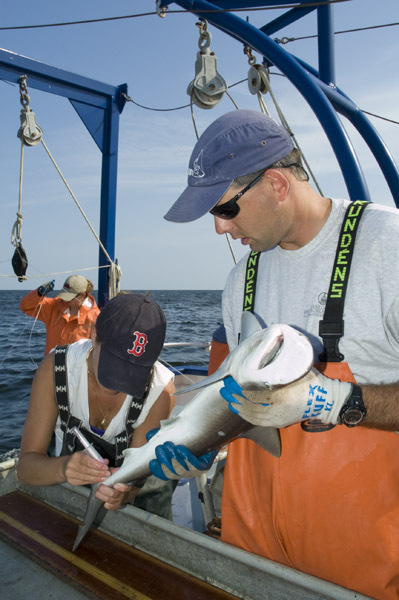 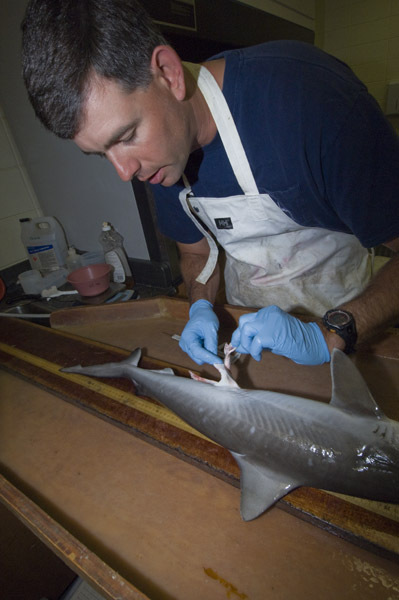 Dr Eric Hoffmeyer of the Gulf Coast Research Lab measures and tags an Atlantic Sharpnose Shark before release. 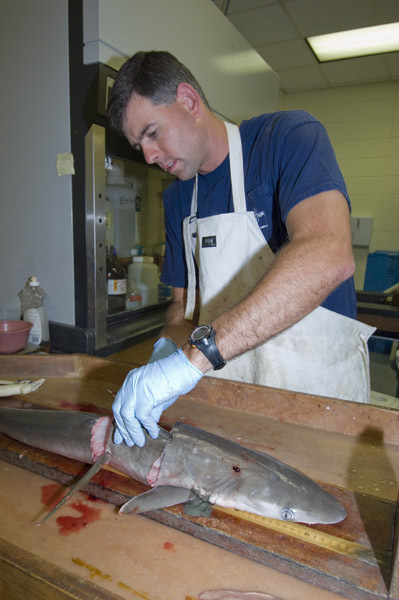 Atlantic Sharpnose shark dissection images from the Gulf Coast Research Laboratory, Ocean Springs, MS.
For more information on this species please visit the Atlantic Sharpnose Shark Page in the Elasmodiver Field Guide.